Village Maloya (now an urban estate of Chandigarh). Bhai Sahib completed his Diploma for Russian Language. In 1971, Bhai Sahib passed his B.A. Sardar Beant Singh and Sardar Satwant Singh’s name are ranked very high in Sikh history for punishing Indira Gandhi for committing the crime of attacking Sri Darbar Sahib. These great warriors the inheritors of great Gursikhs like Baba Deep Singh, Baba Gurbaksh Singh, Bhai Sukha Singh and Bhai Mehtab Singh have kept Sikh history alive. Killing the Indian Prime Minister Bibi Indira Gandhi is equivalent to one of the biggest actions in the whole world. Now the thought comes to mind what if the 31st of October 1984 passed by like a normal day? But that didn’t happen. With trust in the Guru, Sardar Satwant Singh and Sardar Beant Singh decide that they aren’t going to let this day go by dry. The moment when Indira Gandhi decided to attack Sri Darbar Sahib her death was destined, she wasn’t going to die due to an illness and nor in a plane accident, she would be killed by the bullets of the Singh’s. At 9 o’clock in the morning she set out towards her office from Safdarjang road. Her house was in between the bungalows that were made by the British when the capital was being brought from Calcutta to Delhi. Indira Gandhi was very good at selecting clothes. That morning she had worn an orange sari and was chirping about because the colour orange makes you look allot more fairer on TV. The famous drama writer and article writer Peter Ustinov was going to do a TV interview with her that day. Her personal assistant R.K Dhavan was walking along side her that day. There was a fence which had to be crossed to get to Madam Gandhi’s house and office, which had a gate where a Sikh Sub-inspector was standing who Indira Gandhi smiled at. That Sub inspector was Sardar Beant Singh Moliya, who seen her in her orange sari from afar and was walking towards her. The madam’s smile increased the poison, with courage Bhai Sahib reached for his service revolver and showered the 6 bullets in her. Within a minute Sardar Satwant Singh emptied all his bullets in his automatic gun on Indira Gandhi. The Indian Prime Minister, who had dared to destroy the house of the Guru, has been killed by the Singh’s. Sardar Beant Singh hung his walkie talkie set on the fence and told the Indo-Tibetan border police officials, “We have done what we wanted to, now you can do what you want”. Who was Sardar Beant Singh? The Khalsa Panth truly loves the Sikh holy shrines. Sikhs love their Gurudwaras more than their own lives. They aren’t just plain old building made from cement, metal and bricks, they are the heart beat of the soul. Katha-Kirtan, Langar and Amrit Sanchar programs which take place in the Gurudwara, bring enlighten to the Khalsa. To sacrifice yourself to protect the holiness of a Gurudwara which is a very proud thing for a Sikh, Sikhs never forgive anyone who tries to destroy the holiness of a Gurdwara. Baba Deep Singh, Baba Gurbaksh Singh, Bhai Sukha Singh, Bhai Mehtab Singh and other thousands of Gursikhs have always fought with anyone who has tried to destroy the holiness of a Gurudwara, these incidents have been deeply stamped in the memories of Sikhs. Every Sikh prays that the Gurudwaras stay in high spirits and that if anyone does have any wrong intensions, may he/she remove his head from his body. Can there be a Sikh who is not perfect, or who isn’t perfect in following Rehat Maryada, but he understands that dying and killing someone for Sikhi is his duty? Sardar Beant Singh is one of those Sikhs, he took his revenge from the Indian ruler who destroyed the holiness of a holy Sikh shrine. Bhai Sahib knew the consequences of his action that he carried out along with his dear friend Sardar Satwant Singh, but to fulfil the needs of history Bhai Sahib was willing to sacrifice himself. Taking Guru Ji’s message, where ever Sikh scholars went, people who were harassed by Brahmanvad were inspired and took Amrit and walked on the path of Sikhi. Sardar Beant Singh’s grand father Giyani Partap Singh felt that the Brahman’s have cornered people from lower castes and the Sikh religion is only the path to free thousands of dalits. He inspired many people to walk onto the path of Sikhi and made them Sikhs. Giyani Partap Singh also took part in the Nankana Sahib Morcha. He took part in many other Panthic activities. During the Gurdwara improvement movement he done allot of selfless work. During this time Giyani Partap Singh wife, Bibi Bhagwan Kaur gave birth to 5 sons and 3 daughters. Daleep Singh, Sucha Singh, Mani Singh, Mehar Singh, Bahadur Singh were the names of the sons and the names of the daughters were Labh Kaur, Gurnam Kaur and Mehtab Kaur. Giyani Partap Singh’s second son Sardar Sucha Singh had been given Santhiya of Gurbani Path in childhood. He learned the Gurmukhi alphabet from Baba Bhagwan Das. Sardar Sucha Singh was hardworking and had strong intensions, he got married to Bibi Kartar Kaur. They had five sons Bhai Shamsher Singh, Bhai Gurdarshan Singh, Bhai Kirpal Singh, Bhai Bhagat Singh from which Bhai Beant Singh has gained a special place in Sikh history. Sardar Beant Singh completed his primary education from the school in his local village. Bhai Sahib also studied at Hameerpur. Bhai Sahib went to Khalsa School in Khararh for his eighth class. In 1967, Bhai Sahib got admission in the Government Higher Secondary School in Chandigarh. In 1968, Bhai Sahib passed higher secondary Punjab University with a second division pass. Then in 1969, Bhai Sahib got admission in Government college for boys in sector 11 of Chandigarh. During this time Bhai Sahib completed his Diploma for Russian Language. In 1971, Bhai Sahib passed his B.A. 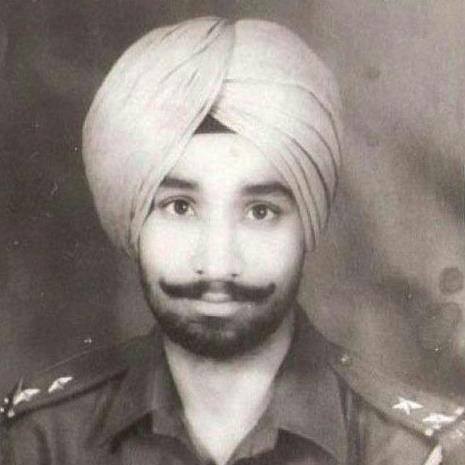 In 1972, Bhai Sahib went to Delhi and joined the force as a reserve Sub Inspector. Bhai Sahib done service for the Central District, for the crime branch and for North Delhi. Bhai Sahib worked very hard. While working in Delhi Bhai Sahib stayed in Vishnu Garden. From there to go to duty, Bhai Sahib would go to Raghbir Nagar Bus Stand. On the way there was Sardar Gurbachan Singh’s house. Gurbachan Singh’s daughter Bimal Kaur was training to be a nurse at Lady Harding College, which is known as Kriplani Hospital. Sardar Gurbachan Singh was originally from the district of Jallandhar but had moved to Delhi. Sardar Beant Singh’s friend Sub Inspector Hardev Singh approached Sardar Gurbachan Singh and talked about the alliance of his daughter and Bhai Beant Singh. Bibi Bimal Kaur’s uncle Sardar Gurdeep Singh also contributed towards this alliance. On the 23rd of January in 1976 in Delhi Bhai Beant Singh and Bibi Bimal Kaur got married in a very simple ceremony of Anand Karaj. The couple had two sons and one daughter: Bibi Amrit Kaur (1977), Bhai Sarabjit Singh (1978) and Bhai Jaswinder Singh (1983). Sardar Beant Singh was a happy soul. Bhai Sahib was known as charming and beloved person amongst his friends. In 1961-62 Bhai Sahib had took Amrit but due to his police duty he wasn’t able to keep his Rehat which he felt regret about. Bhai Sahib’s uncle (Fufar) Sardar Kehar Singh was an assistant in the field of Director General Supplies and Disposal. Sardar Kehar Singh was also from Punjab and got on very well with Sardar Beant Singh. Due to both of them staying in Delhi they would meet up quiet frequently. Sardar Kehar Singh was from the village Mustafabad near Fatehgarh Sahib, beside the village of Luhari Kala. Bhai Beant Singh’s family were supporters of Congress because the general impression was that Congress support the poor. Bhai Sahib was given a job in the reserve sector, so naturally due to this Bhai Sahib was more sided towards Congress. The Delhi Army instigated everyone in Punjab against the Sikh Kaum, a tornado of crime and injustice hit Punjab, many people crossed the border to save themselves from getting caught up and being killed. This genocide wasn’t just against Sant Jarnail Singh Bhindranwale and his companions, it was to break and humiliate the Khalsa Panth. Indira Gandhi and other Indian leaders thought after the attack on the Sikh Kaum, the Kaum will be able to suppress the Kaum. But they couldn’t see inside the hearts of the Sikhs. The security forces could never understand the importance of Sri Akal Takhat Sahib for the Sikhs. The congress read some comments of two faced Sikhs or in other words, traitor sikhs and assumed that part of the Sikhs praised this attack. The government published a white paper which pleaded that terrorists were staying in Sri Darbar Sahib and were gathering weapons and made the claim that they ended the terrorist activities and resorted the holiness and great tradition of Darbar Sahib. But there was something else boiling in the minds of Sikhs. After the attack on the Panth, enemies distributed ladoo’s and congratulated everyone and danced around, hearing this, the blood of the Sikhs boiled. How would a non Sikh understand that Sri Darbar Sahib isn’t like any other place of worship where the police came and went. A non Sikh can never understand the love, loyalty and respect that a Sikh has for Sri Darbar Sahib. They can never understand that this attack was on the soul of Sikhi. When the Muslims attacked Somnath or another Hindu Mandir no Hindu fought like the Sikhs did in 1984, even after the attack they didn’t repair their mandir’s like the Sikhs rebuilt their Sri Akal Takhat Sahib. A Mandir doesn’t hold the same importance as to what a Gurdwara does for a Sikh. Attacking Sri Darbar Sahib leaves no other path for a Sikh, it comes down to sacrificing oneself or killing the person who done it. Before every attack would be on the attacker which ended the matter easily but this time the attacker was the Hindu India, who Sikhs protected with each breath. The Sikh Kaum never had looked at the Hindu’s or India as their enemy. So after the genocide the soul of the Sikhs was badly wounded. After the attack just like many other Sikhs, Sardar Beant Singh was filled with anger. After the attack in 1984, the news would fly around that an eagle would come to whatever Gurdwara. The Sikh Sangat thought of this as a message from Kalgiya Wale that the time has come to do something. In September 1984, an eagle was at the Gurdwara Rakab Ganj Sahib in Delhi, Bhai Sahib and his uncle Bhai Kehar Singh also went too see it. After the attack on Darbar Sahib, Bhai Sahib would occasionally talk about the condition of Sri Darbar Sahib and express his feelings with Sardar Bhai Kehar Singh. When Sardar Bhai Kehar Singh told Bhai Sahib about the story of the eagle, Bhai Sahib took the story very seriously. Bhai Sahib and Sub inspector Balvir Singh were on duty outside of Bibi Indira Gandhi’s house. They both started talking. Sardar Balvir Singh said that this eagle belongs to Guru Gobind Singh Ji and this is a message for his Sikhs that ‘Do or Die’. The miracle of nature occurred, an eagle came and sat in front of the reception, seeing this Bhai Sahib decided that that person who has openly humiliated the Sikh Kaum should be punished. It just so happens, Sardar Satwant Singh who was from Gurdaspur district had came back from his holidays. Sardar Satwant Singh was from the village of Aggvan, whenever Sardar Satwant Singh would come to Bhai Sahib, he would always talk about what Punjab is going through. Sardar Satwant Singh said, “Sikhi is asking for heads, without giving heads nothing is going to change.” Sardar Satwant Singh was ready and prepared to give his head for the Sikh Kaum. Both of them then prepared a plan. On the 13th of October, Bhai Sahib had a conversation with his Singhni Bibi Bimal Kaur, from his conversation it seemed as if he was preparing for the future. In the past few days Bhai Sahib said many times to Bibi Ji, “I feel like attaining Shaheedi.” Bibi Ji would reply, “What about our kids what will happen to them?” Bhai Sahib would reply, “Waheguru will protect them.” Bhai Sahib then went onto say how he never kept his Rehat before and that now he will take Amrit again. On the 14th of October 1984, Bhai Sahib wore a Kurta Pyjama, his beard was flowing and he had a dastar on his head, he had worn the 5K’s, when he arrived home Bibi Bimal Kaur Ji was surprised and asked, “You probably went to Moti Bhag Gurdwara and took Amrit there, did u go alone?” Bhai Sahib replied, “No. Uncle had went with me, on the 17th of October you will also take Amrit and aunty will go with you, be ready”. Like this both husband and wife became Sikhs of the Guru. On the 20th of October 1984, Bhai Sahib, Bibi Bimal Kaur, Sardar Kehar Singh and Bibi Jagir Kaur (Bhai Sahib’s aunt (Phua)) arrived at Amritsar. After doing Darshan of Sri Harmandir Sahib they all went to do sewa in the Langar hall. The next day Bhai Sahib and Sardar Kehar Singh and stood in front of Sri Akal Takhat Sahib. Before them was the Akal Takhat Sahib made by the Tekhedar. The Khalsa College professor and the famously considered chief Khalsa divan Harbans Singh, who supported the Government white paper of the attack of Akal Takhat Sahib, due to this his son, Tejwant Singh’s company ‘Skippers’ got the responsibility to rebuild Sri Akal Takhat Sahib. The Sarkari Tekedhar got the building standing within days. The Sikh sangat got even angrier because the Sikh Kaum has their traditions for the Kar Sewa of Gurdwara’s. Whenever the enemy has destroyed a Gurdwara the Sikh Sangat rebuild that Gurdwara with their own hands. The Sikhs were helpless and many times would think that whenever they get the opportunity we will knock this Sarkari building down and rebuild the Gurdwara from scratch with our own hands. (On the 26thJanuary 1986, the Sikhs had knocked down this building and rebuilt Sri Akal Takhat Sahib with their own hands) That evening on the 21st of October 1984, Bhai Sahib and the rest headed for Delhi. Bhai Sahib really likes the colour light grey and would normally tie a light grey dastar. Bhai Sahib brought a light orange dastar, it was 8 meters long, he gave Bibi Bimal Kaur Khalsa the turban and told her to sew it. Bibi Ji was busy so due to that she couldn’t sew the turban and then Bhai Sahib thought that I shouldn’t do this because it might confirm their suspicions. On the 24th of October, it was Diwali. On the day Indira Gandhi gave all the staff and security guards a box of barfi (Indian sweet) and 100 rupees each. But Sardar Beant Singh never took his Diwali gift. Full preparations had been made, but there was one issue, Sardar Satwant Singh was assigned to a duty a bit further from the planned position. But Sardar Satwant Singh spoke to another security worker and said he needs work near a toilet as his stomach is upset and like this Sardar Satwant Singh managed to work at the planned position. Indira Gandhi always wore a bullet proof jacket before coming out, but today she either forgot to wear it or she didn’t feel the need for. Soon as she came out the death had welcomed her and another great action was written in the Sikh history. The bullets of Bhai Sahib and Sardar Satwant Singh blew many holes in Indira Gandhi. The woman that was called Durga was lying on the floor covered in dirt and dust. Indo-Tibetan border police officers captured the unarmed Singh’s and locked them up in the guard room. Both Singh’s had decided that if they get the opportunity to be taken to court then they will take the responsibility of exposing this evil woman’s deeds. But the Indian leaders couldn’t tolerate these Singh’s. The Indo-Tibetan border police officers thought of a plan, they went into the guard room where Bhai Sahib and Sardar Satwant Singh were and started to swear and abuse them to instigate them. Tarsem Jamwal and Ram Saran Das were getting out of hand with their abuse. In anger Sardar Satwant Singh managed to get his hands on the Stengun that belonged to these abusers and straight away the security officers opened fire on both singhs, but Bhai Sahib quickly covered Sardar Satwant Singh. In fact the security officers wanted to kill the singhs as they wanted India to know that they had done their best to save Indira Gandhi. After this, Ram Manohar took both of the singhs to Lohiya Hospital. The doctors declared Bhai Sahib to be Shaheed, but Sardar Satwant Singh was wounded and survived. (After on the 6th of January 1989, Sardar Kehar Singh and Sardar Satwant Singh were hanged and attained Shaheedi). What Bibi Bimal Kaur went through? On the 31st of October the police had arrested Bibi Ji. Bhai Sahib’s elder brother Sardar Gurdarshan Singh was working in Delhi and was also arrested by the police. It was at Nigam Bodh river bank where Sardar Gurdarshan Singh cremated his brother’s body. Two weeks after Bibi Ji came home from the interrogation centre, she was put on house arrested. On the 28th of December 1984, in the village of Moliya there was an Akhand path that was kept in the memory of Shaheed Bhai Beant Singh which was to be completed. Shaheed Sardar Beant Singh’s father Sardar Sucha Singh made a request to the Delhi government to let Bibi Bimal Kaur attend the Bhog as she needs to be there, permission was granted and Bibi Ji with her 3 children came to the village of Moliya. On the 28th of December 1984 thousands of Sikhs gathered at the village of Moliya to pay their respects to Shaheed Bhai Beant Singh. Bibi Bimal Kaur became stronger when she seen the amount of love and respect that was shown for Bhai Sahib. With the efforts of the Shiromani Gurdwara Parbandak Committee head Jathedar Gurcharan Singh Tohra, a Gurdwara was build in the village of Moliya in the memory of Shaheed Bhai Beant Singh. Even today that Gurdwara stands tall and the Nishan Sahib sends out a message to the world that anyone who attacks Sri Harmandir Sahib, the Sikhs shall not spare him or her. Shaheed Bhai Beant Singh’s wife Bibi Bimal Kaur stayed at Delhi, at first, but from 1985 the Shaheed Singh’s family moved to Punjab. With the help and support of Panthic leaders and Damdami Taksal they got a house in Mohali. They got involved with Sikh Student Federation. In 1985, Bibi Bimal Kaur fought the Punjab elections but lost. In 1989, during the Punjab elections, from being in the Ropar Lok Sabha people made her a member of parliament, she broke the record of votes and got her seat in parliament. With the support of Bibi Bimal Kaur, Shaheed Bhai Beant Singh’s father Sardar Sucha Singh was made MP of Bathinda. On the 22nd of June 1991, Bibi Bimal Kaur was in her house 1082, Phase 5, Mohali washing clothes that she had a heart attack. She was taken to PGI hospital in Chandigarh where she was passed away later. During that time her daughter Amritpal Kaur was only 14 and was studying at Guru Nanak Public School sector 36 and was in the 9th class. Her elder son Sarabjit Sigh was at Dasmesh Academy in Anandpur Sahib studying in the 8th class and was only 12. Her younger Jaswinder Singh Jassi was only 8 years old. Just like Shaheed Bhai Beant Singh his wife Bibi Bimal Kaur Khalsa sacrificed herself for the Panth. On 6th January 2008 the highest Sikh temporal seat ( Akal Takhat, Amritsar) declared Beant Singh and other assassins of former prime minister Indira Gandhi martyrs of Sikhism. His death anniversary is celebrated every year inside Golden Temple Complex. In the year 2003, a Bhog ceremony was held at Akal Takhat, Amritsar where tributes were paid to Indira’s assassin. In the year 2004, a demand was raised by a political party that Akal Takhat should observe death anniversaries of Beant Singh. 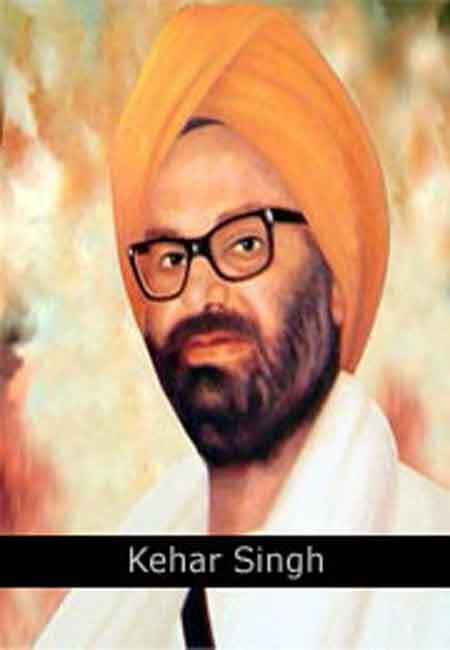 In the year 2007, his death anniversary was observed in various parts of Punjab and other countries. In the year 2008, SGPC also called them “martyrs of Sikh nation”. Shiromani Akali Dal observed their death anniversary as ‘martyrdom’ on 31st October 2008.